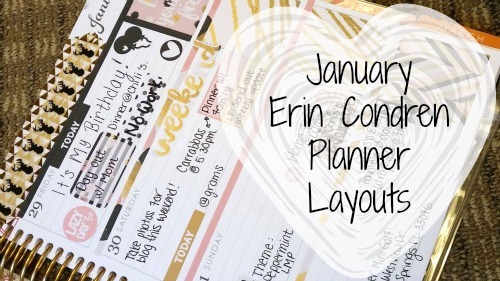 So I'm trying to turn it into a tradition where I share with you my planner spreads at the end of each month - this time I'm sharing my January spreads for my Erin Condren Horizontal! Bonus Week! This is my spread for New Years . Kit from Its Planning Time . Zebra washi from the $1 store. Horizontal January Weekly Kit from Little Miss Paperie. Little Pill sticker from Its Planning Time. Snowflake Washi from the $1 store. Vertical Weekly Kit from Little Miss Paperie. Top Washi from Target with accents from the $1 store. Skinny Washi from Hobby Lobby. Planning sticker from Its Planning Time. Horizontal Weekly Kit from Little Miss Paperie. Metallic Washi from Hobby Lobby. Stag Washi from Hobby lobby. My Birthday layout has got to be one of my favorite spreads I've done so far (that wasn't a holiday)! As you can tell, my planning style is evolving - and my spreads end up with a LOT of pen in them by the end of the week. 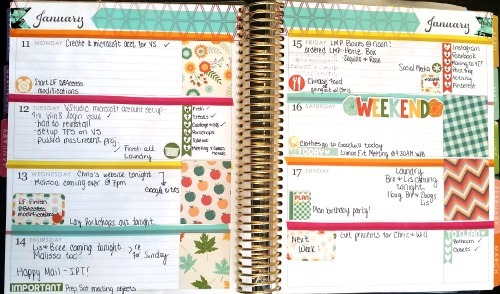 I'm loving how organized this planner is keeping my life! 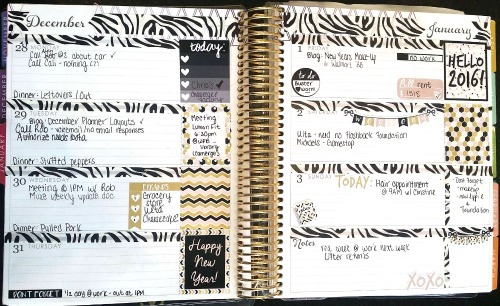 Planner posts like this always make me super jealous because I honestly wouldn't have the first idea where to start! 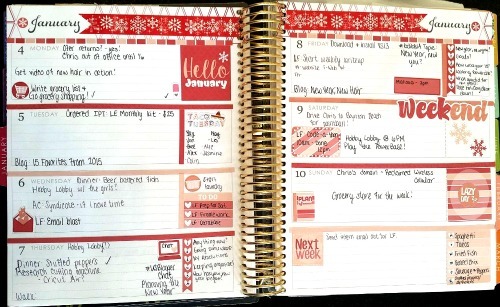 Yours is so beautiful and organized and inspiring because I think I would actually use my planner if it looked that nice! I opened up all the links you posted in hopes that I'll actually start the planning stuff. Fingers crossed! When I started I had /no/ idea where to start. 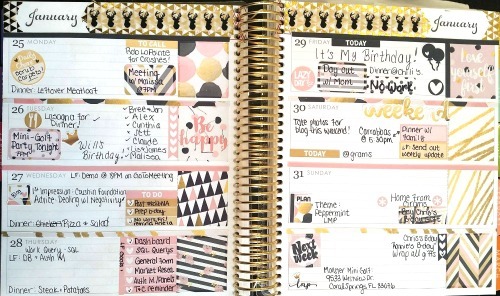 And looked at other planner peeps all jealous like because their spreads were goooo gorg! 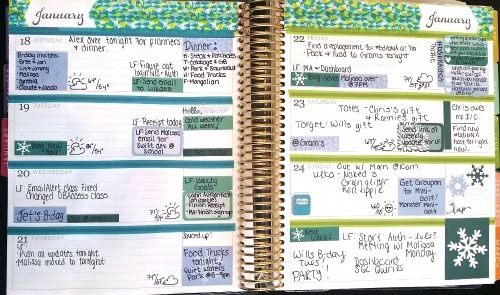 But it's really finding your own stride and style in planner that makes it all worthwhile! ++ I'm addicted to my Erin Condren - which makes it all easier!